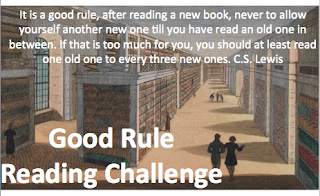 My GoodReads reading goal was set at 520 books. 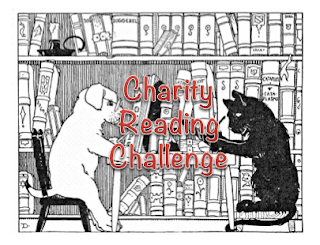 I have read 483 books. 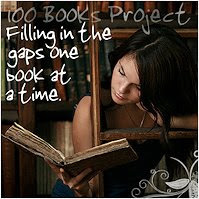 I've got 37 books to go before reaching my goal. 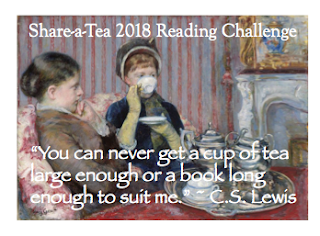 Of course, if you know me at all, you know I hope to read a lot more than thirty-seven books before the end of the year. 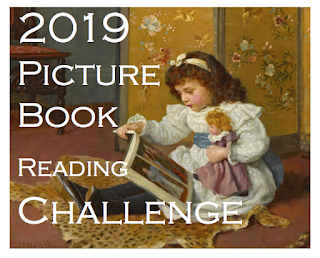 Picture books and board books: I've read 204 books. I'd love to read forty-six more. 250 sounds like a lovely total. That way my BEST post can include 25 titles. 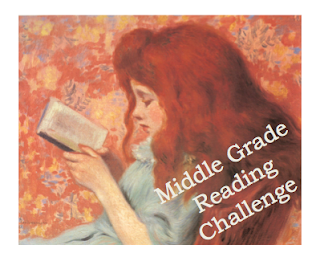 Early readers and chapter books: I've read 72 books. I'd love to read eight more. That way my BEST post can include 8 titles. 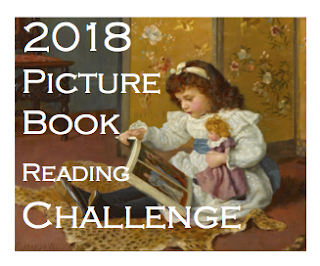 Contemporary/general/realistic books: I've read 39 books. I'd love to read eleven more. That way my BEST post can include 5 titles. Speculative fiction: I've read 32 books. I'd love to read eighteen more. That way my BEST post can include 5 titles. 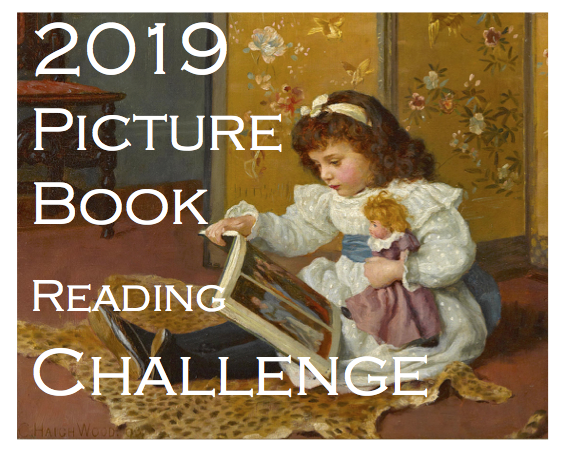 Historical fiction: I've read 53 books. I'm happy enough with that total. (I've got my 5 minimum.) But it's also one of my favorite and best genres, so I'd be fine with aiming for more. If I read 27 more--which is A LOT--then I could include 8 in my top ten list. Mysteries: I've read 33 books. I'm not happy with that total. I'm not. I want to read at least 50--in a perfectly perfect world. But can I read 17 more mysteries in two months?! Nonfiction: I've read 57 books. I am happy with that total. But it would be great if I could read a few more. 23 more would get me to 80. 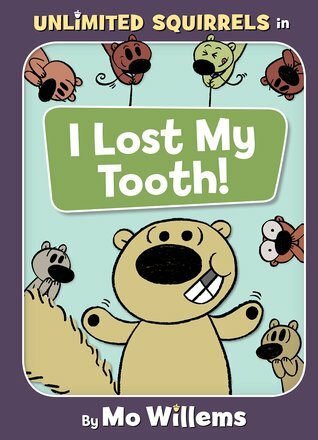 Remember nonfiction includes nonfiction picture books. So maybe this is possible? 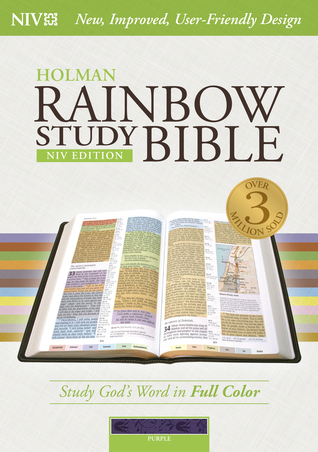 Favorite audio book of the month: Rainbow Valley. L.M. Montgomery. 1919. Read for Librivox by Karen Savage. 7 hours and 25 minutes. First sentence: I am going to write it all down, so that what happened to me will be known, so that if someone were to stand at their window at night and look up at the stars and think, My goodness, whatever happened to Louisiana Elefante? Where did she go? they will have an answer. They will know. This is what happened. I will begin at the beginning. 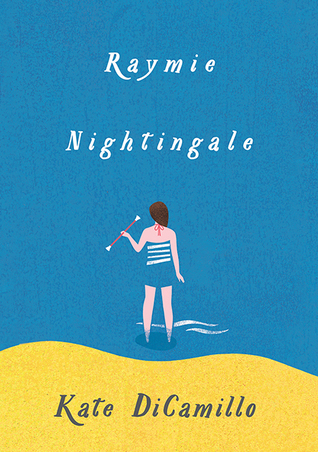 Premise/plot: The character of Louisiana Elefante was first introduced in a lovely little book called Raymie Nightingale. She was a sidekick to the main character. 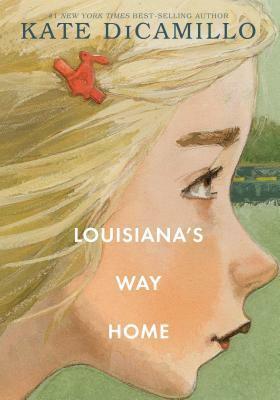 This book is set several years later and it is narrated by Louisiana herself. Granny has decided that the time has come--the day of reckoning. She has decided that it is time to be moving on. Louisiana learns this the hard way--at 3AM--when she's packed up and put in the car. Soon Louisiana finds herself leaving Florida--not to mention her friends, her pets--behind and entering Georgia. Soon Louisiana finds herself behind the wheel--without a license--when Granny's toothache becomes too unbearable. Her first mission is to find a dentist. This is quickly followed up by finding a place to stay. And then there is her most familiar mission of all--a daily one--finding food to eat. Nothing comes easy for Louisiana--not anymore. (Not that life with Granny in Florida was super-easy, mind you.) 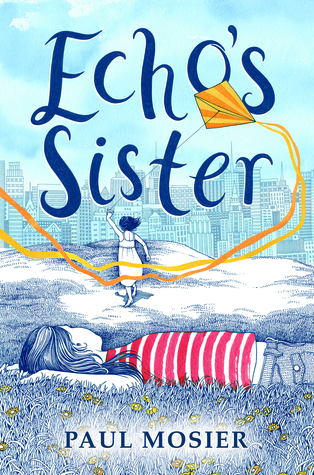 But Louisiana finds friends in unlikely places...and her new friends may just be her saving grace. My thoughts: I loved, loved, LOVED, loved this one. 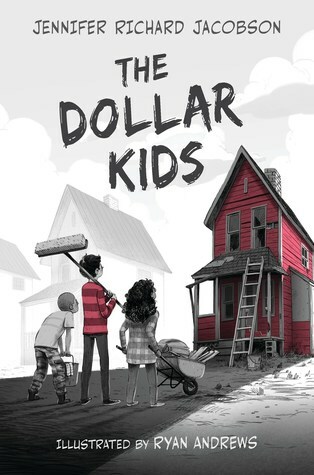 DiCamillo has written a gem of a book. I'm not sure what I loved most: the characterization, the narration, the quotability factor, or the compelling, oh-so-satisfying plot. First sentence: Long, long ago, so high in the mountains and close to the stars that on clear nights you didn't need a lantern, lived an adventurous girl named Anja. Premise/plot: A girl makes a Christmas wish. Did her wish come true? Or did she have a fantastical dream? 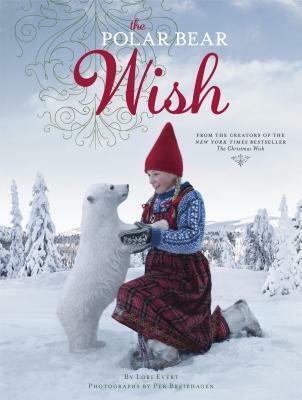 My thoughts: This is the fourth book in the Wish series. This is the first that I've read. Perhaps if I had a previous attachment with Anja or Erik--the (human) stars of this one--then I might have appreciated it more. I thought it was odd. Perhaps surreal is the better word choice. I think some readers will enjoy it very much. This reader didn't really "get it." But picture books are incredibly subjective. Season of Grace. Lauraine Snelling. 2018. Bethany House. 320 pages. 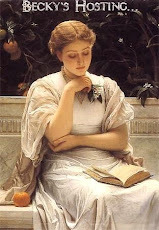 I am currently reading Anthony Trollope's Small House at Allington and Elizabeth Gaskell's Wives and Daughters. 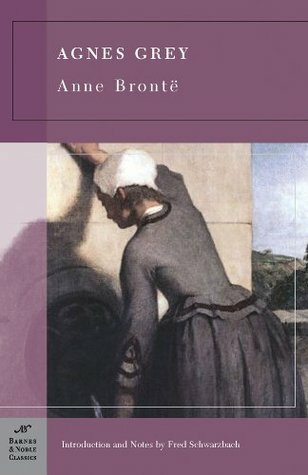 I am also currently listening to Agnes Grey by Anne Bronte. I’ve always had a sort of aptitude for living in a pigsty; — a clean pigsty, you know, with nice fresh bean straw to lie upon. Alas! alas! a man cannot so easily repent of his sins, and wash himself white from their stains! Those slanders always are absurd; but what can we do? We can’t tie up people’s tongues. Mr Palliser had barely spoken to Mr Crosbie at Courcy, but then in the usual course of his social life he seldom did more than barely speak to anybody. Rainbow Valley. L.M. Montgomery. 1919. Read for Librivox by Karen Savage. 7 hours and 25 minutes. 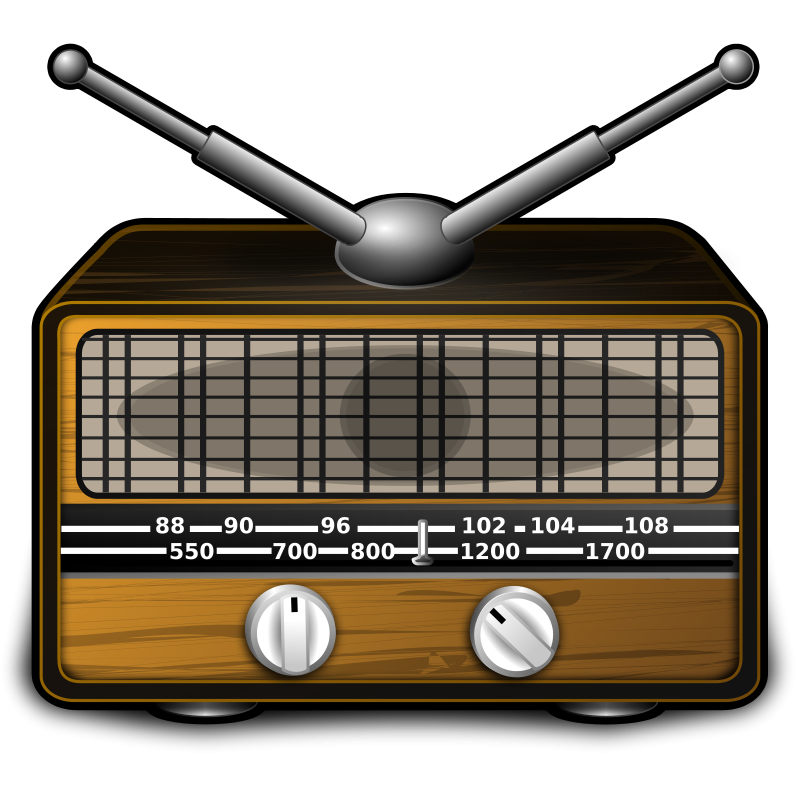 I really enjoyed listening to L.M. Montgomery's Rainbow Valley. Karen Savage is an excellent reader. 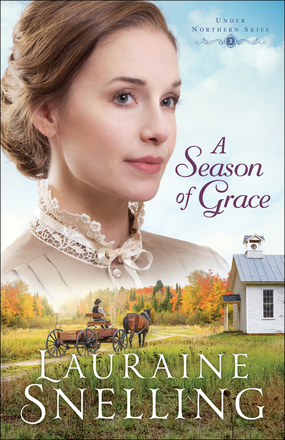 It is easy to take Rainbow Valley for granted in the Anne series, to not fully appreciate the gift it offers readers. But I really do enjoy it. It isn't Anne's story--and I'm perfectly okay with that. I love all of the many child-narrators in Rainbow Valley. First sentence: It was a clear, apple-green evening in May, and Four Winds Harbour was mirroring back the clouds of the golden west between its softly dark shores. Premise/plot: Rainbow Valley is about the Blythe children and their best friends, the Meredith children. The Merediths are in interesting bunch! The father is a Presbyterian minister. The mother is dead and very much missed. The children are wild and wonderful. Over half the book centers on the adventures of Jerry, Faith, Una, and Carl. The other half focuses on the Blythe children: Jem, Walter, Nan and Di, Shirley, and Rilla. Why you should still read it even though it isn't about Anne: Montgomery is a great storyteller who excels at characterization. The Meredith children, particularly Faith, are great characters to spend time with. Mary Vance is another LIVELY character. Love her or hate her, you can't forget her! This one also has some lovely scenes with Walter about the 'Pied Piper' he hears calling in Rainbow Valley. Reading Rainbow Valley deepens the bond you feel for certain characters. The memories the two families create and share in Rainbow Valley--the place--are important in Rilla of Ingleside. Rilla of Ingleside is not to be missed. It is one of the BEST in the series. 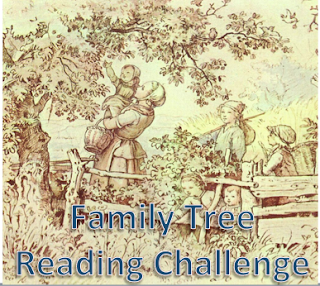 My thoughts: I really loved the courtship in this one of the children's father!!! It was super-sweet and fun. 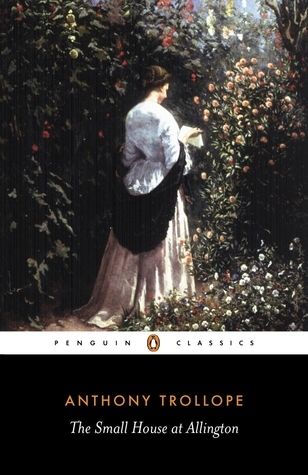 I love this book not so much for its connection to Anne, as it is I just LOVE L.M. Montgomery in general. She's a wonderful writer whose birthday is very close to my own! Labels: 1919, audio books, L.M. Montgomery, Me? Listen to Audio? First sentence: When I was in preschool, I had a teacher named Starlily. She wore rainbow tie-dyed dresses and was always bringing in cookies that were made with granola and flax and had no taste. Ellie finds herself going to middle school with her grandfather by her side--as a classmate. 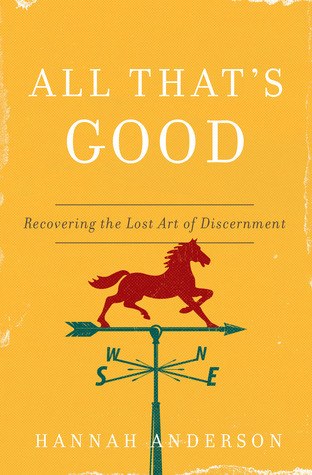 My thoughts: I enjoyed rereading this one. It was fun; it was quick. There is something to be said for fun and quick. Imagine how many books I could read in a year if all books were so well-paced and entertaining. 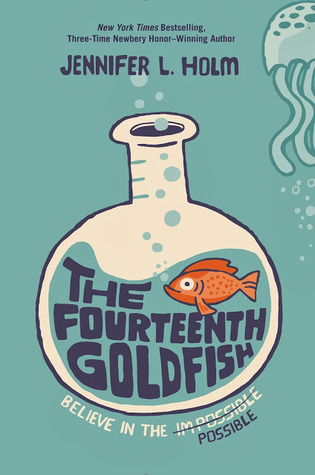 This one reminded me of why I tend to love reading middle grade novels. I definitely want to read the new sequel which released this year. Reviews are not a requirement. But if you do review, you can share links to your reviews. I'm thinking of having check-in posts at the end of every month. First sentence: SNAP! Allie's crayon broke. I blinked. She was suddenly...furious, fuming, frustrated, and so, so, sooo ANGRY. She stomped, smashed, crashed, and threw a tantrum, a fuss, and a fit. My thoughts: I LOVED, LOVED, LOVED this one. I haven't loved a book about fits this much since reading FINN THROWS A FIT a few years ago. I'm not sure which of the two I'll end up liking more--only time will tell. I loved the writing. I loved the concept. I loved the shedding of emotions. I loved the coping skills. I loved the illustrations. It's a relatable book start to finish. And the ending is oh-so-right. First sentence: I like to watch Peter when he doesn't know I'm looking. Premise/plot: This is the third and final book in the To All the Boys I've Loved Before series by Jenny Han. 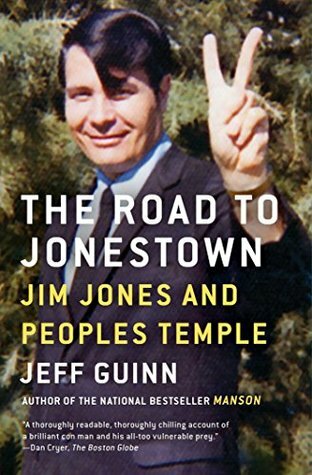 I reviewed the second book in September 2018. 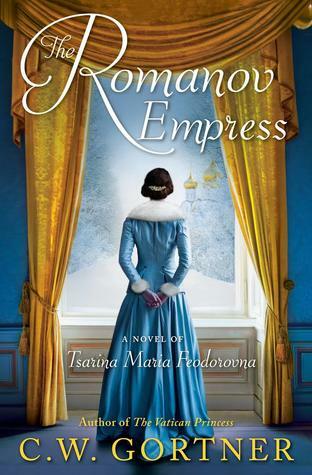 I reviewed the first book in 2015. I spent the whole book worried. 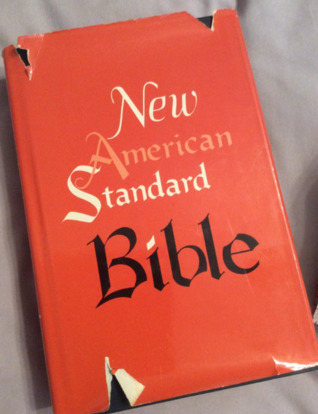 In fact I cheated a few times and flipped to the end of the book. Would these two still be together at the end? Would she break up with Peter before going to college? Would they fight over something stupid? The book ends as well as it can for it to be just a chapter in a person's life. 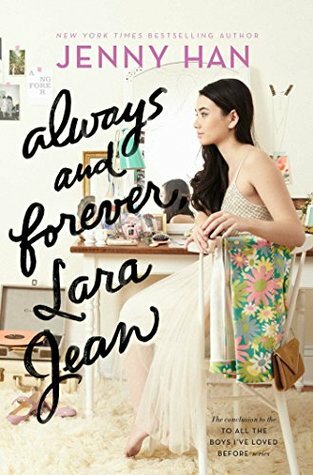 What I want to see--what I need to see--a few years from now is for Jenny Han to write a new book (or perhaps a trilogy) starring KITTY as a main character. 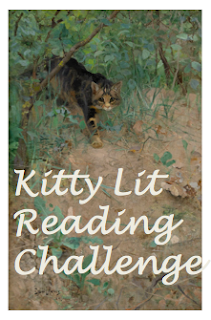 Wait for Kitty to mature a bit--get into high school and then GIVE READERS a treat. 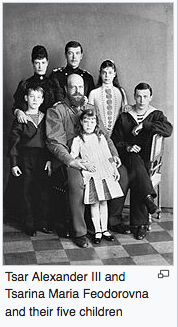 Let us see what is going on with this family once more. I'm guessing that if Kitty at age 11 is awesome that Kitty at age 15 or 16 would be worth spending time with. First sentence: On a late June afternoon in 1905, Maud Montgomery sat in her grandmother's kitchen, writing. She sat not at the kitchen table, but perched on top of it, her feet set neatly on a nearby sofa, her notebook propped against her knees. From here she could jump down if someone stopped by for their mail, as was likely to happen--for the kitchen doubled as the post office of Cavendish, a tiny seaside village on Prince Edward Island. Premise/plot: House of Dreams: The Life of L.M. 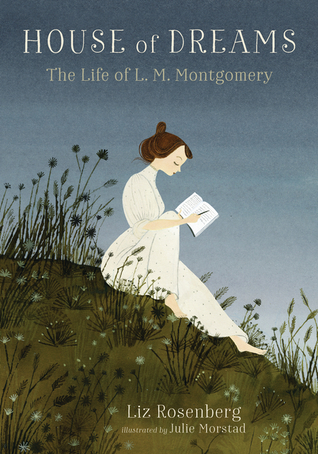 Montgomery is a new biography of Canadian author, Lucy Maud Montgomery. 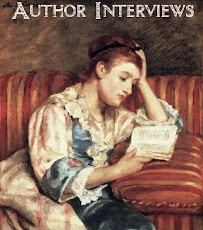 Montgomery is best known for the Anne series though she was also a poet and writer of short stories. My thoughts: L.M. Montgomery is one of my favorite authors. 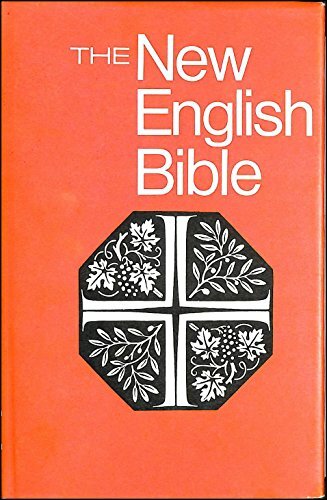 Around the age of eleven (or so) I discovered the Anne and Emily books. It was LOVE. I reread these books often. (And I do mean often.) At some point I began reading her other books as well--Tangled Web, Blue Castle, various short story collections. I entertained the fantastical notion that if I had a real, live Anne Shirley in my life, my life would be so much better. Not only did I see Anne as a kindred spirit--but I imagined L.M. Montgomery to be one as well. I would not allow my eleven year old self to read this book. I wouldn't. There's a time and place perhaps for illusions to be shaken perhaps. I am not saying I regret reading the book as an adult. L.M. Montgomery had mental health issues. She struggled throughout most—if not all of her life—with mental health. She was married to a minister who had severe mental health issues himself. He had several complete nervous breakdowns. Unfortunately, both Montgomery and her husband lived at a time when there was not much—if any—help for mental health disorders. They lived at a time where mental health issues brought SHAME and SCANDAL to a family. For a minister and his wife it would have been an impossible situation. But even if she had come forward and sought help and sought help for her husband, would the medical community have been of any real good? I’m not convinced. What prescriptions Montgomery and her husband were taking—for various things—were (way) more harmful than helpful. Though they perhaps didn’t ever realize it. We like to think that we know all there is to know--that medical science has made great advancements. That a doctor's advice is always good advice. That prescription pills are safe. That when a doctor prescribes something it will make us better--not worse. Only time will tell. It will always only be time that tells. Still even if we don't know everything there is to know about every mental health disorder today--we know so much more than a hundred years ago. It can be outrageous to stop and think about what "treatments" were recommended for the mentally ill--even sixty or seventy years ago. I do think it is important to talk about mental health. To be compassionate and empathetic--not only to those suffering directly from mental health disorders but also towards the caretakers--the friends and family of those impacted. It is nothing to be ashamed about. It shouldn't be something to hide, a burden one bears alone. Did Montgomery commit suicide? Yes. No. Maybe. She was certainly VERY unhappy and life was a burden to her. She was worried and anxious about her oldest son. She was miserable with her husband. Recent injuries made it difficult for her to write by hand. She'd endured many losses in life. But did she overdose by pills intentionally or unintentionally? It could have been an accident. (She was taking SO many different prescriptions, and the combination would today be considered dangerous. Even if she was following doctor's directions precisely.) It could have been suicide. It wasn't Montgomery's mental health problems that troubled me so much as it was the breaking of the illusion that Montgomery was a [Christian] woman of faith. She may have grown up at a time and in a place where church attendance was a given for respectable families. Perhaps she even confessed/professed faith as child or teen. But by the time she was an adult, by the time she was a minister's wife, she had lost her belief in God. Or at least her belief in the God of the Bible. She denied there was a heaven or hell, a day of judgment. She believed instead in reincarnation. She maintained an appearance of orthodoxy--as did her husband--for appearances' sake. After all, would he be kept on as minister if he openly rejected God from the pulpit? But she held unorthodox views privately. Some of this creeps in subtly in her works. First sentence: All true histories contain instruction; though, in some, the treasure may be hard to find, and when found, so trivial in quantity that the dry, shrivelled kernel scarcely compensates for the trouble of cracking the nut. Premise/plot: Agnes Grey is a young woman who challenges herself to leave home and become a governess. Her family needs income, true, but her parents are not telling her to work or even wanting her to work. The Bloomfields are her first family and the Murrays are her second. Neither situation is ideal. The Bloomfield children are out-of-control. Master Tom and Mary Ann rule the schoolroom and they know it. Agnes Grey has been given no authority to discipline the children. The parents expect her to rule without power or authority. Any misstep, any fault, any misbehavior--no matter how big or small--is her fault by default. She shouldn't call herself a governess if she can't manage naughty children. She learns quickly not to run to the parents with tales of misbehavior OR even with pleas for support. She'll receive no support from either parent. She doesn't last long at this first job, though the fact that she lasts more than a month or two says something about her fortitude. The Murray children are much older. There are two young ladies: Miss Rosalie and Miss Matilda. Rosalie is 'out' in society and FLIRTATIOUS. Matilda is a year or two younger. Her biggest fault is her love of swearing. These two don't "misbehave" in the same way as the Bloomfields. No throwing themselves on the floor and rolling about, for example. But they don't apply themselves to lessons. And the parents don't mind. They want their daughters to outwardly conform and if they learn a little now and then--almost by accident--so much the better. But no biggie if they never learn to think. This second job lasts for several years. While staying with the Murrays, Agnes Grey meets a curate, Edward Weston. These two occasionally speak with one another. What little she knows about him is enough to warm her heart and make her giddy. She doesn't hope that he like-likes her in return. But she has heart-eyes for him for sure. Will Agnes Grey remain in the schoolroom for ever? Do governesses ever get happily ever after endings? My thoughts: I loved, loved, LOVED, LOVED, LOVED this one. Agnes Grey is a true kindred spirit. And her ideals are my ideals. I too would find Edward Weston swoon-worthy. She's a good woman who often finds herself in difficult circumstances. She has strong values, strong morals, strong beliefs. She knows right from wrong. She believes that children should be trained--disciplined. Boys and girls need to learn right from wrong, need to have their behavior corrected, need to apologize when they've misbehaved, need to learn kindness and compassion, need to take responsibility for what they say and do. One of my favorite characters is Nancy Brown, a poor cottager that receives visits from Agnes Grey and Mr. Weston. Both read Scripture to her. ‘Oh, yes, you could,’ said he, with a thoughtful smile. ‘The ties that bind us to life are tougher than you imagine, or than anyone can who has not felt how roughly they may be pulled without breaking. You might be miserable without a home, but even you could live; and not so miserably as you suppose. 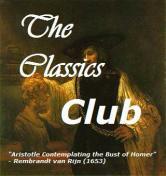 The human heart is like india-rubber; a little swells it, but a great deal will not burst it. If “little more than nothing will disturb it, little less than all things will suffice” to break it. As in the outer members of our frame, there is a vital power inherent in itself that strengthens it against external violence. Every blow that shakes it will serve to harden it against a future stroke; as constant labour thickens the skin of the hand, and strengthens its muscles instead of wasting them away: so that a day of arduous toil, that might excoriate a lady’s palm, would make no sensible impression on that of a hardy ploughman. She left me, offended at my want of sympathy, and thinking, no doubt, that I envied her. I did not—at least, I firmly believed I did not. I was sorry for her; I was amazed, disgusted at her heartless vanity; I wondered why so much beauty should be given to those who made so bad a use of it, and denied to some who would make it a benefit to both themselves and others. From speaking of books in general, he passed to different books in particular, and proceeded by rapid transitions from topic to topic, till several matters, both of taste and opinion, had been discussed considerably within the space of half an hour, but without the embellishment of many observations from himself; he being evidently less bent upon communicating his own thoughts and predilections, than on discovering mine. He had not the tact, or the art, to effect such a purpose by skilfully drawing out my sentiments or ideas through the real or apparent statement of his own, or leading the conversation by imperceptible gradations to such topics as he wished to advert to: but such gentle abruptness, and such single-minded straightforwardness, could not possibly offend me. He looked at me as he concluded: and the flash of his dark eyes seemed to set my face on fire; greatly to my own discomfiture, for to evince confusion at such a juncture was intolerable. I made an effort, therefore, to remedy the evil, and disclaim all personal application of the remark by a hasty, ill-expressed reply, to the effect that, if he waited till he was well known in the neighbourhood, he might have numerous opportunities for supplying his want among the residents of F--- and its vicinity, or the visitors of A---, if he required so ample a choice: not considering the compliment implied by such an assertion, till his answer made me aware of it. He laid his hand on mine, that rested on his arm: he must have felt it tremble—but it was no great matter now. ‘You love me then?’ said be, fervently pressing my hand. I am still reading Anthony Trollope's Small House at Allington. I will be sharing some quotes from the book. 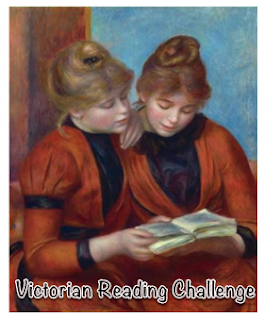 I have finished two books since the last Victorian Year post. 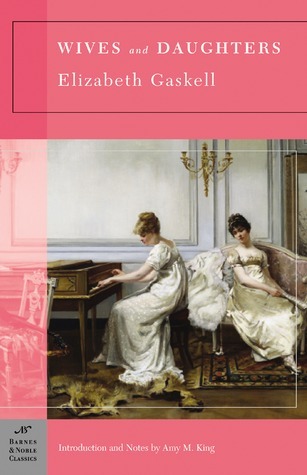 The first is Sylvia's Lovers by Elizabeth Gaskell. The second is Dracula by Bram Stoker. 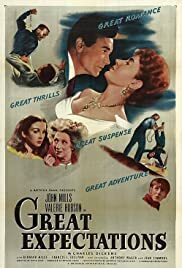 I've also watched an adaptation of Great Expectations (1946). Great Expectations. 1946. Directed and adapted by David Lean. Starring John Mills, Valerie Hobson, Martita Hunt, Finlay Currie, Alec Guinness, Eileen Erskine, and Bernard Miles. 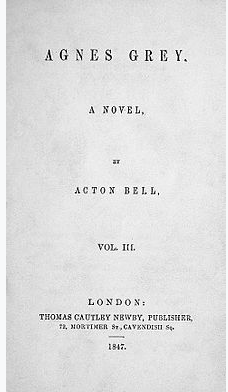 I feel I should first point out that this is the only adaptation of Great Expectations that I've seen. I have no other film with which to compare it. 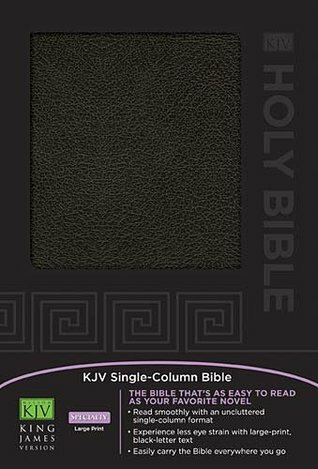 Is it faithful to the book? Somewhat. It does take liberties. With the ending it takes HUGE liberties. I'm not sure Estella is Estella enough--if that makes sense. As I was watching it, Mom made the observation that Estella is in many ways similar to Scarlett O'Hara--in her selfish heartlessness. I don't know that Estella deserves a happily-ever-after ending. I would have more respect for Pip, perhaps, if he wasn't so head-over-heels with Estella and blind to her greatest faults. Oh, he knows she has faults. But he seems to ignore/dismiss them. Her insides don't match her outsides--and he seems okay with that, more than okay with that. But when I really stop and consider Pip--is he a great judge of character in general? He is just as blind when it comes to Joe. The way Pip feels about Joe--the way he's ashamed of him, embarrassed by him, dismissive of him, at times rude to him--if only by default of complete and total ingratitude--makes me angry. 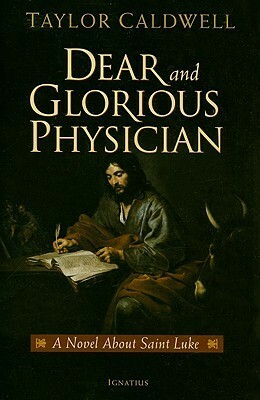 We saw that he had difficulty in writing it, but the miracle was, that any man could have found it possible to write it. “I don’t know much about being in love with her,” said Johnny, turning very red as he spoke. “But I’d go through fire and water for her, my lord. I knew her years before he had ever seen her, and have loved her a great deal better than he will ever love any one. There are certain maladies which make the whole body sore. John Eames had reached his office precisely at twelve o’clock, but when he did so he hardly knew whether he was standing on his heels or his head. First sentence: "My, oh my," the grandfather said. "Everything is in such a hurry." 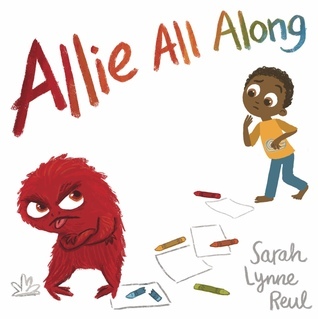 Premise/plot: One thing I love about picture books is that often what you see is what you get. 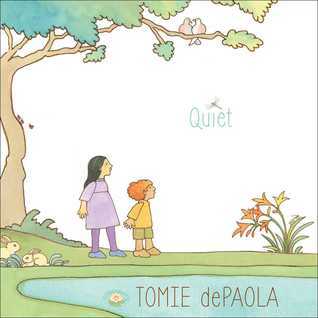 This is a story celebrating quietness and stillness. A grandfather is on a walk with his grandchildren and a dog. Once the grandfather points out how 'everything' is in a hurry, they all take turns pointing out the busyness they see in nature as they walk along. But soon it is time to sit down and rest, to slow down their minds and bodies, to just be still. Just as nature can be busy, it can also be restful. My thoughts: I liked this one. I agree with the conclusion--the moral, if you will--of this one: To be quiet and still is a special thing. There is a timelessness to this one which makes it somewhat unique. I think Mr. Rogers would approve of this one! First sentence: On the north-eastern shores of England there is a town called Monkshaven, containing at the present day about fifteen thousand inhabitants. 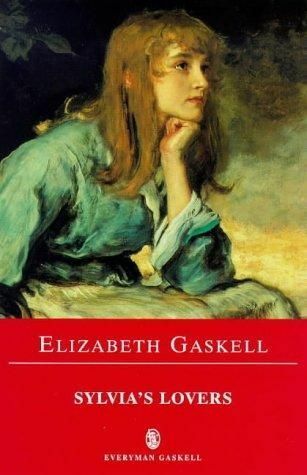 Premise/plot: The heroine of Elizabeth Gaskell's Sylvia's Lovers is Sylvia Robson. (Relatively) soon after the novel opens, Sylvia falls in love with a specksioneer Charley Kinraid. This frustrates the plans of her cousin, Philip Hepburn. He is also in love with Sylvia. He hasn't been courting her, but, he has been tutoring her. Philip has heard a few rumors that Kinraid essentially has left a string of girls all madly in love with him. (He is a sailor.) But Sylvia isn't going to be warned or lectured or bossed about by her cousin! One day Philip witnesses Kinraid being pressed into service--being taken up by the press gang. (Military service not being all voluntary at that time). Charley begs Philip to tell Sylvia what has happened, begs him to let her know that his disappearance was not of his doing. By the time Philip makes his way to visit Sylvia and her family--his family too mind you--word has reached them--the town/village--that Kinraid is DEAD. Some of his belongings have washed up from the sea. Philip decides--for better or worse--to keep quiet. But Kinraid's disappearance does not necessarily mean that Philip will succeed in his efforts to woo the young and beautiful Sylvia. In fact, if Sylvia's father, Daniel, had stayed out of trouble, I'm confident that his efforts would have continued to fail. But. Daniel Robson acted the fool--a noble fool, perhaps. He decided to participate in a RIOT. He was right there in the heart of the action--no mistaking his intentions. Who was there to take care of the family when Daniel Robson was arrested? imprisoned? taken away to face trial and sentencing? Good, kind, dependable Philip, that's who. He was so good, so kind, so compassionate, so faithful. When he does propose, she says yes. Even if there's a tiny bit of doubt at the back of her mind if it's the right thing to do. She doesn't love-love Philip. But. She does care for him some. My thoughts: I really enjoyed Sylvia's Lovers. If there was a movie adaptation of it, I would definitely watch it. (Most of Gaskell's other novels have been adapted for film.) I think fans of Poldark may enjoy this one. Oddly enough, I was Team Philip for most of the book. In some ways, I find him the most developed character of the book. Sylvia was developed to some extent, but she felt a bit distant to me. 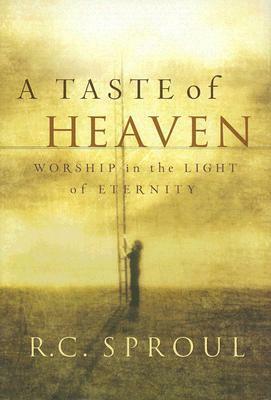 I loved the religious/spiritual themes of this one.